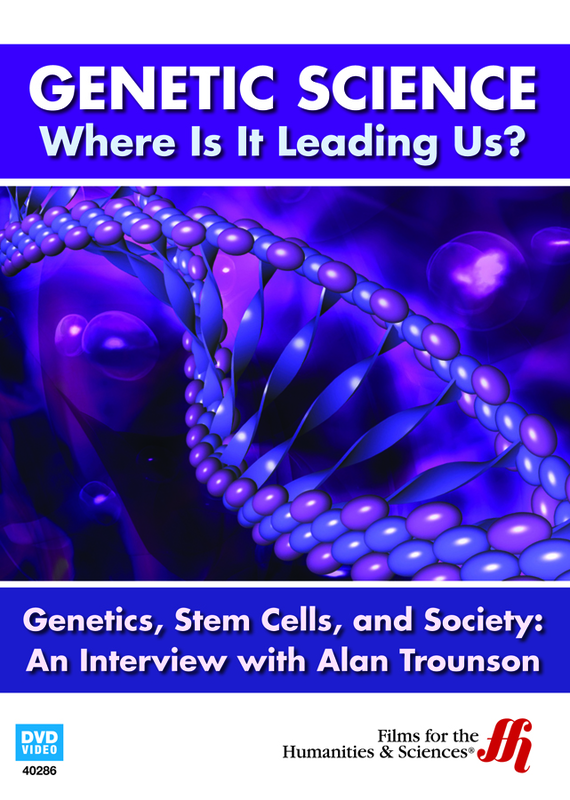 Genetics, Stem Cells, and Society: An Interview with Alan Trounson (Enhanced DVD) is a look by one of Australia's most distinguished scientists into the field of genetics and stem cell research. 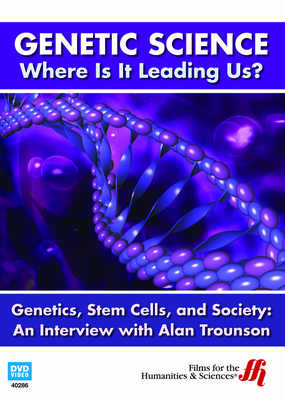 Genetics, Stem Cells, and Society: An Interview with Alan Trounson (Enhanced DVD) features an interview with one of Australia's most distinguished scientists into the field of genetics, and in particular the work being done in stem cell research. This discussion extends to various techniques, including gene expression and epigenetics. The film also looks as the influence genetics plays on disease, and how through the use of genetics their is hope that early progress in diseases can be thwarted. Dr. Trounson also discusses how his Cambridge education came to center on genetics and how his work has been influenced. Printed resources are provided along with the film.